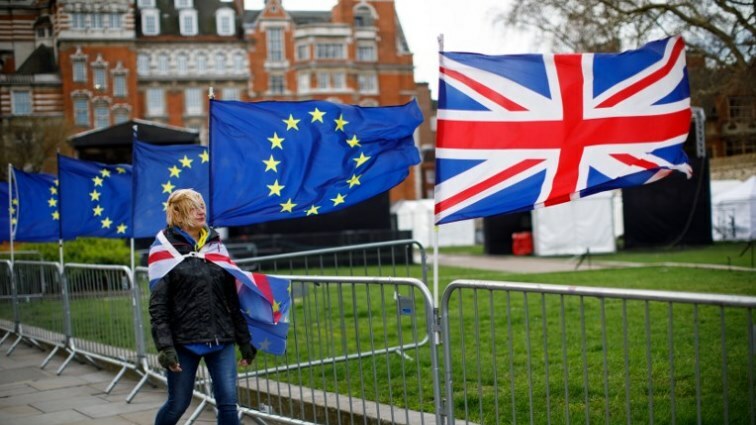 The European Union said a solution to the Brexit deadlock remained elusive Wednesday after the latest “difficult” talks with Britain weeks before its March 29 exit. EU chief negotiator Michel Barnier gave the state of play after meeting his British counterparts late Tuesday amid efforts to get the divorce deal through parliament in London. Barnier informed the European Commission, the EU’s executive arm, that “while the talks take place in a constructive atmosphere, discussions have been difficult,” commission spokesman Margaritis Schinas said. Barnier added that “no solution has been identified at this point that is consistent with the withdrawal agreement,” Schinas told a press conference. Prime Minister Theresa May agreed the withdrawal agreement in November, but the British parliament overwhelmingly voted it down in January and MPs continue to challenge it. Barnier met on Tuesday with UK attorney general Geoffrey Cox and Brexit minister Stephen Barclay over dinner in the Belgian capital. Both sides had issued conciliatory signals ahead of the four-hour sitdown raising hopes that progress was possible. But Barnier confirmed the two sides remained stuck on the so-called “backstop” aimed at guaranteeing an open border between EU member Ireland and British Northern Ireland after Brexit. Cox, the British government’s top lawyer, said he had put forward some “very reasonable proposals” during his talks. “Both sides have exchanged robust strong views and we’re now facing the real discussions. Talks will be resuming soon,” Cox told Sky News television from Brussels. “We’re into the meat of the matter now, we’ve put forward some proposals, very reasonable proposals,” he said. But he said he could not reveal the content of the discussions, saying they were “private and confidential”. Cox’s presence is seen as central as he will ultimately offer a legal opinion on the Brexit deal and the Irish backstop that could determine whether key pro-Brexit lawmakers will approve the withdrawal agreement. Earlier advice by Cox, warning that the backstop could keep Britain tied permanently to an EU customs union, was viewed as a contributing factor in the massive defeat of May’s deal by MPs in January. Barnier insisted anew Wednesday the legally binding withdrawal agreement will not be reopened. The EU says the talks in Brussels are focused on drafting a separate document to placate doubters in London. Raising hopes earlier were the softening positions of several hardline Brexit supporters in May’s Conservative party who have dropped their demand that changes to the backstop be made in the withdrawal treaty itself. In 2017, Britain invoked Article 50 of EU law, triggering a two-year countdown to Brexit that ends at 11:00 pm (2300 GMT) on March 29. The OECD on Wednesday chopped Britain’s growth forecast from 1.4 to 0.8 percent, which would mark the first time it had fallen below one percent since 2009 following the global economic crisis. The post EU says ‘no solution’ yet to break Brexit deadlock appeared first on SABC News – Breaking news, special reports, world, business, sport coverage of all South African current events. Africa's news leader..